If you were hunting for alien intelligence, looking for a surefire signature from across the Universe of their activity, you'd have a few options. You could look for an intelligent radio broadcast, like the type humans began emitting in the 20th century. 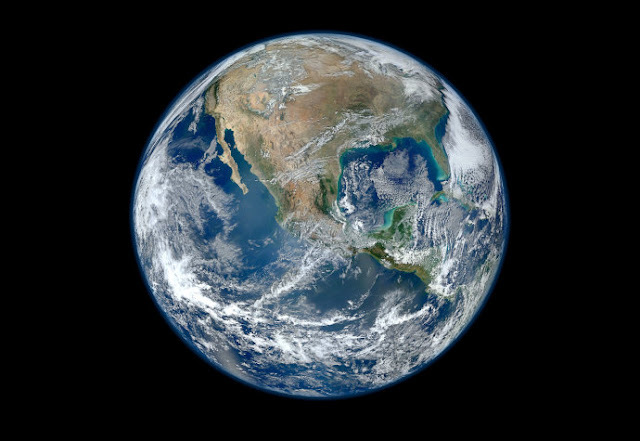 You could look for examples of planet-wide modifications, like human civilization displays when you view Earth at a high-enough resolution. You could look for artificial illumination at night, like our cities, towns, and fisheries display, visible from space. Or, you might look for a technological achievement, like the creation of particles like antineutrinos in a nuclear reactor. 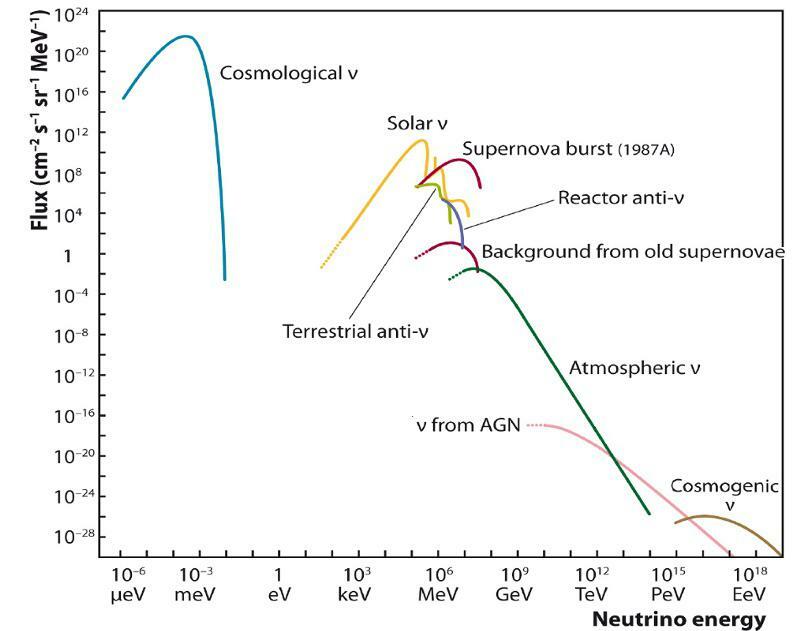 After all, that's how we first detected neutrinos (or antineutrinos) on Earth. But if we took that last option, we might fool ourselves. Earth created a nuclear reactor, naturally, long before humans ever existed. In order to create a nuclear reactor today, the first ingredient we need is reactor-grade fuel. Uranium, for example, comes in two different naturally-occurring isotopes: U-238 (with 146 neutrons) and U-235 (with 143 neutrons). Changing the number of neutrons doesn't change your element type, but does change how stable your element is. For U-235 and U-238, they both decay via a radioactive chain reaction, but U-238 lives about six times as long, on average. 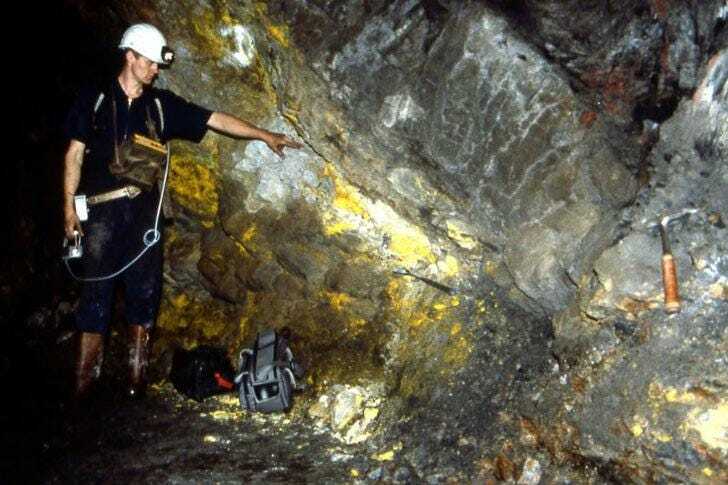 By time you get to the present day, U-235 makes up only about 0.72% of all naturally-occurring Uranium, meaning it has to be enriched to at least about 3% levels in order to get a sustaining fission reaction. But 1.7 billion years ago was more than two full half-lives ago for U-235. 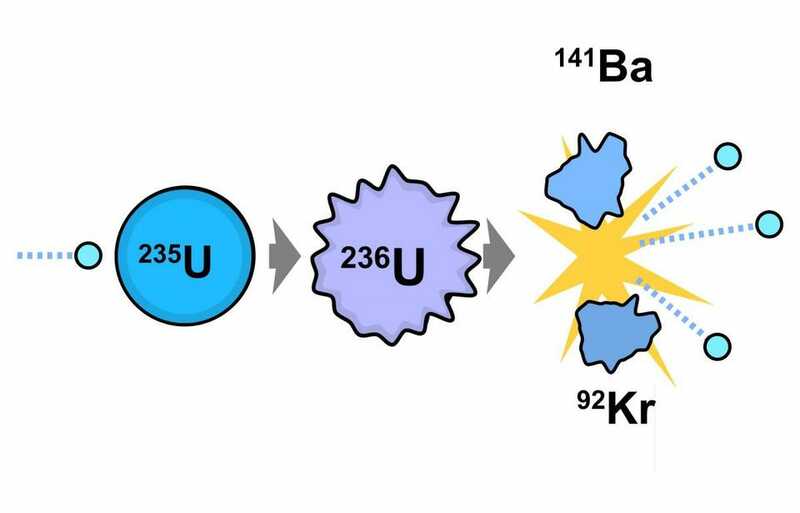 Back then, in ancient Earth, U-235 was about 3.7% of all uranium: enough for a reaction to occur. In between different layers of sandstone, before you reach the granite bedrock making up most of Earth's crust, you often find veins of mineral deposits, rich in a particular element. Sometimes these are extremely lucrative, like when we find gold veins underground. But sometimes, we find other, rarer materials in there, such as uranium. In modern reactors, enriched uranium produces neutrons, and in the presence of water, which acts like a neutron moderator, a fraction of those neutrons will strike another U-235 nucleus, causing a fission reaction. As the nucleus splits apart, it produces lighter daughter nuclei, releases energy, and also produces three additional neutrons. If the conditions are right, the reaction will trigger additional fission events, leading to a self-sustaining reactor. 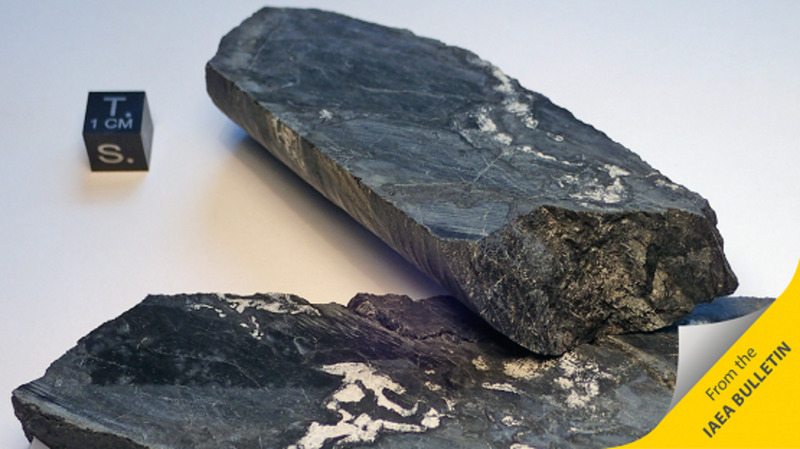 Two factors came together, 1.7 billion years ago, to create a natural nuclear reactor. The first is that, above the bedrock layer of granite, groundwater flows freely, and it's only a matter of geology and time before water flows into the uranium-rich regions. Surround your uranium atoms with water molecules, and that's a solid start. But to get your reactor working well, in a self-sustaining fashion, you need an extra component: you want the uranium atoms to be dissolved in the water. In order for uranium to be soluble in water, oxygen must be present. Fortunately, aerobic, oxygen-using bacteria evolved in the aftermath of the first mass extinction in Earth's recorded history: the great oxygenation event. With oxygen in the groundwater, dissolved uranium would be possible whenever water floods the mineral veins, and could have even created particularly uranium-rich material. When you have a uranium fission reaction, a number of important signatures wind up being produced. 1. Five isotopes of the element xenon are produced as reaction products. 2. The remaining U-235/U-238 ratio should be reduced, since only U-235 is fissile. 3. U-235, when split apart, produces large amounts of neodymium (Nd) with a specific weight: Nd-143. Normally, the ratio of Nd-143 to the other isotopes is about 11-12%; seeing an enhancement indicates uranium fission. 4. Same deal for ruthenium with a weight of 99 (Ru-99). 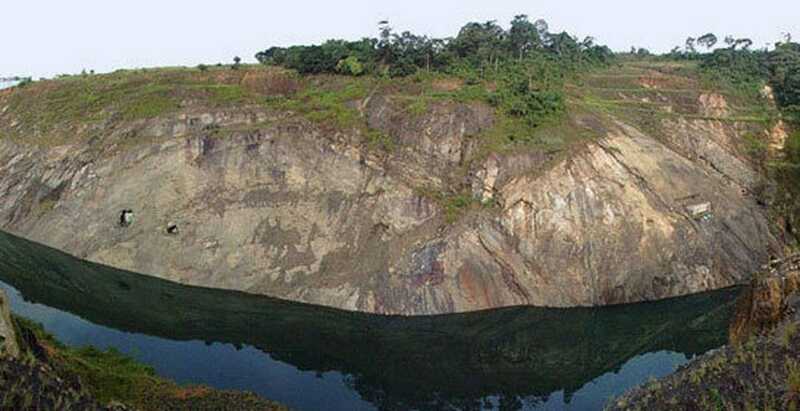 Naturally occurring with about 12.7% abundance, fission can increase that to about 27-30%. 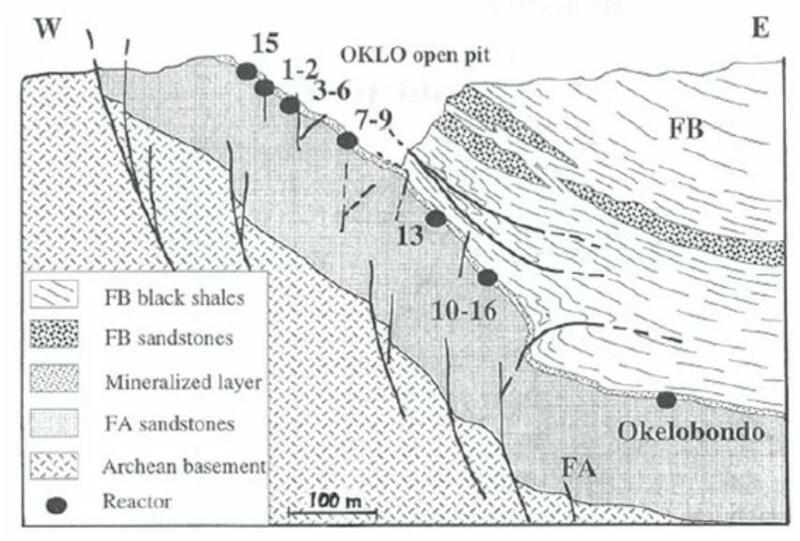 In 1972, the French physicist Francis Perrin discovered atotal of 17 sites spread across three ore deposits at the Oklo mines in Gabon, West Africa, that contained all four of these signatures. The Oklo fission reactors are the only known examples of a natural nuclear reactor here on Earth, but the mechanism by which they occurred lead us to believe that these could occur in many locations, and could occur elsewhere in the Universe as well. 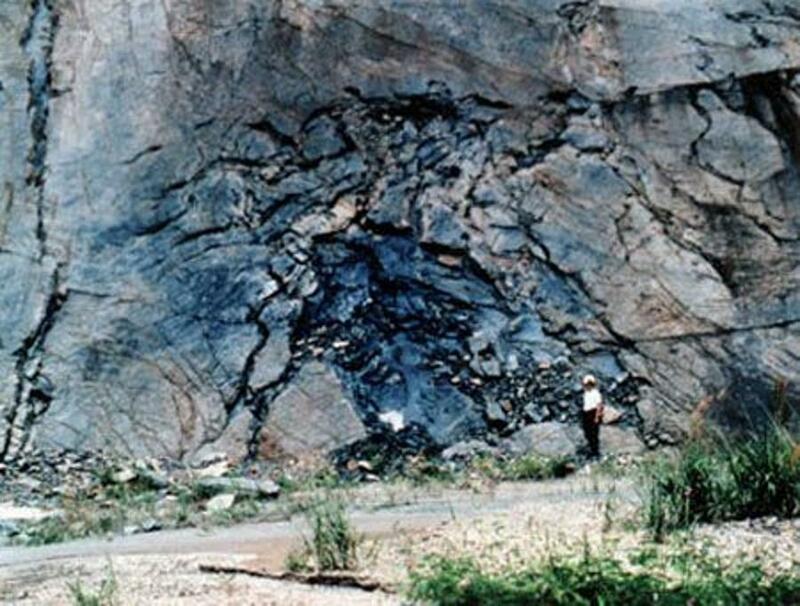 When groundwater inundates a uranium-rich mineral deposit, the fission reactions, of U-235 splitting apart, can occur. The groundwater acts as a neutron moderator, allowing (on average) more than 1 out of 3 neutrons to collide wtih a U-235 nucleus, continuing the chain reaction. As the reaction goes on for only a short amount of time, the groundwater that moderates the neutrons boils away, which stops the reaction altogether. 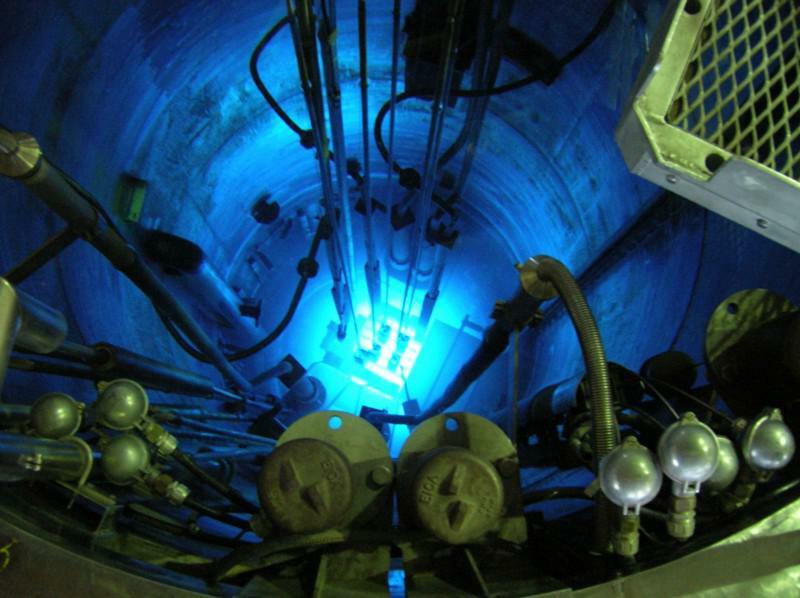 Over time, however, without fission occurring, the reactor naturally cools down, allowing groundwater back in. 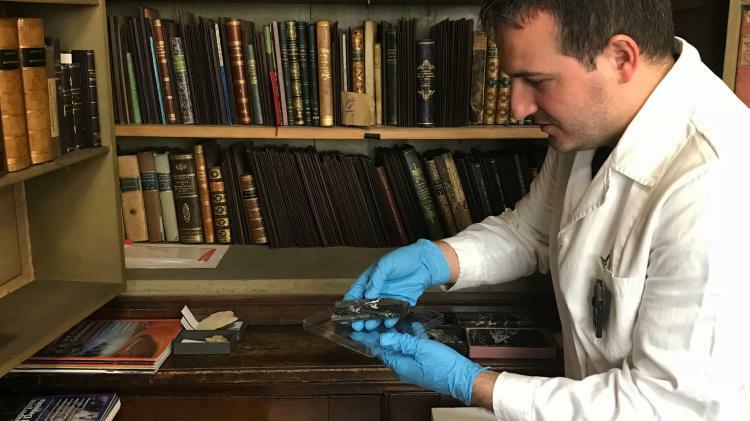 By examining the concentrations of xenon isotopes that become trapped in the mineral formations surrounding the uranium ore deposits, humanity, like an outstanding detective, has been able to calculate the specific timeline of the reactor. For approximately 30 minutes, the reactor would go critical, with fission proceeding until the water boils away. Over the next ~150 minutes, there would be a cooldown period, after which water would flood the mineral ore again and fission would restart. This three hour cycle would repeat itself for hundreds of thousands of years, until the ever-decreasing amount of U-235 reached a low-enough level, below that ~3% amount, that a chain reaction could no longer be sustained. At that point, all that both U-235 and U-238 could do is radioactively decay. Looking at the Oklo sites today, we find natural U-235 abundances that range from 0.44% up to 0.60%: all well-below the normal value of 0.72%. Nuclear fission, in some form or another, is the only naturally-occurring explanation for this discrepancy. Combined with the xenon, the neodymium, and the ruthenium evidence, the conclusion that this was a geologically-created nuclear reactor is all but inescapable. Interestingly enough, there are a number of scientific findings we can conclude from looking at the nuclear reactions that occurred here. We can determine the timescales of the on/off cycles by looking at the various xenon deposits. The sizes of the uranium veins and the amount that they've migrated (along with the other materials affected by the reactor) over the past 1.7 billion years can give us a useful, natural analogue for how to store and dispose of nuclear waste. The isotope ratios found at the Oklo sites allow us to test the rate of various nuclear reactions, and determine if they (or the fundamental constants driving them) have changed over time. Based on this evidence, we can determine that the rates of nuclear reactions, and therefore the values of the constants that determine them, were the same 1.7 billion years ago as they are today. Finally, we can use the ratios of the various elements to determine what the age of the Earth is, and what its composition was when it was created. The lead-isotope and uranium-isotope levels teach us that 5.4 tonnes of fission products were produced, over a 2 million year timespan, in an Earth that's 4.5 billion years old today. When a supernova goes off, as well as when neutron stars merge, both U-235 and U-238 are produced. 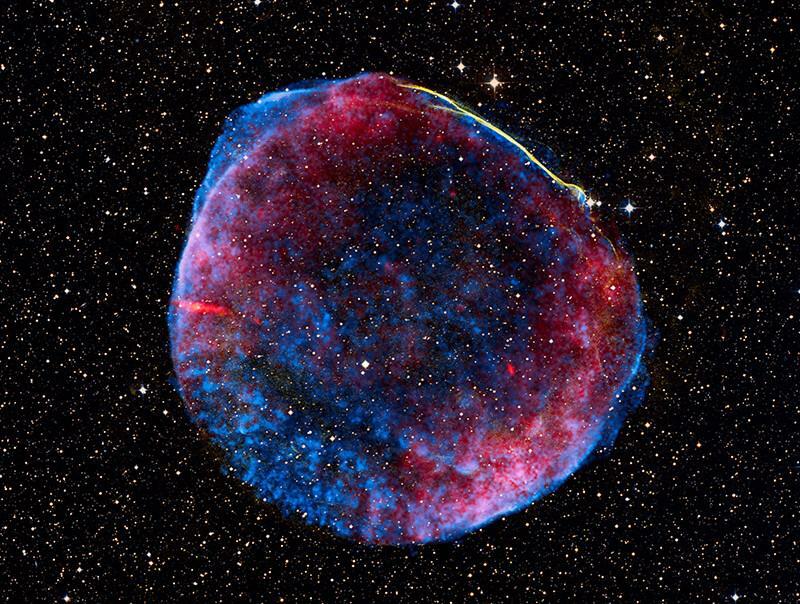 From examining supernovae, we know we actually create more U-235 than U-238 in about a 60/40 ratio. If Earth's uranium were all created from a single supernova, that supernova would have occurred 6 billion years before the formation of Earth. On any world, as long as a rich vein of near-surface uranium ore is produced with greater than 3/97 ratio of U-235 to U-238, mediated by water, it's eminently plausible for a spontaneous and natural nuclear reaction to occur. In one serendipitous location on Earth, in more than a dozen instances, we have overwhelming evidence for a nuclear history. In the game of natural energy, don't ever leave nuclear fission off the list again.